Here is a little list of what we have going on currently and what is coming soon. What would December be without a good old MadPea Advent Calendar! Pay either of the Gummy Bears L$100 for the HUD and start your hunting. You can catch up to any days that have been missed. Check the blog for full information and for prize previews. 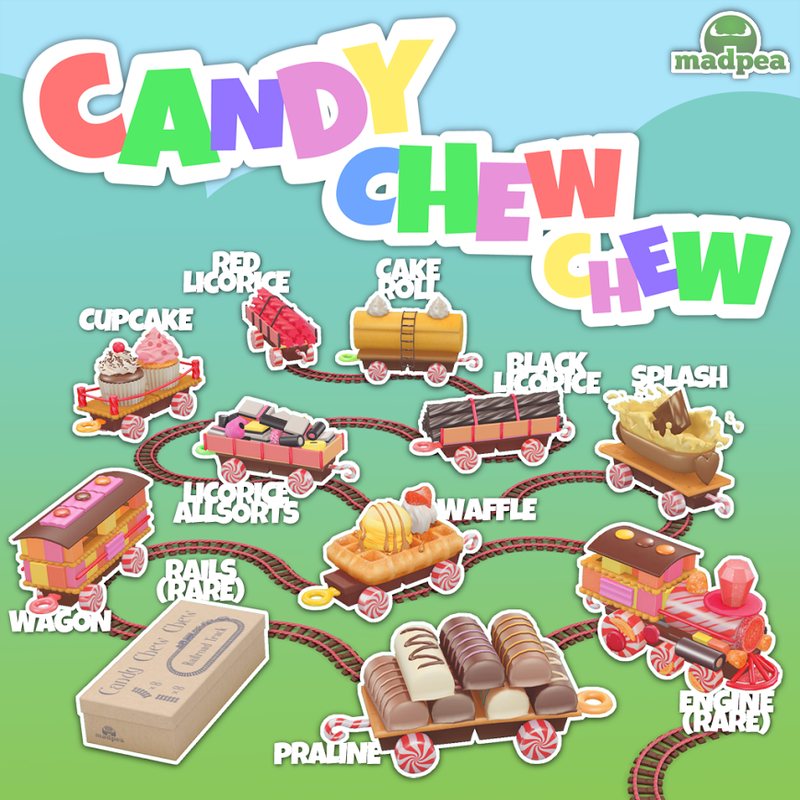 Check THE ARCADE website and the MadPea blog for more information and pictures of the Candy Chew Chew Train. Only L$50 a play. Come see the Blood Sledders from MadPea. They will put just that touch of horror that is missing from your Christmas. While you are there be sure to pick up some of our Happy New Years party packs as well. Only L$25 a play. Collect them all. Jersey Shore's O M G - Oh My Gacha! Watch group notices, blog and FB for more details as they are released. We have several Group Gifts and Gachas at our stores. 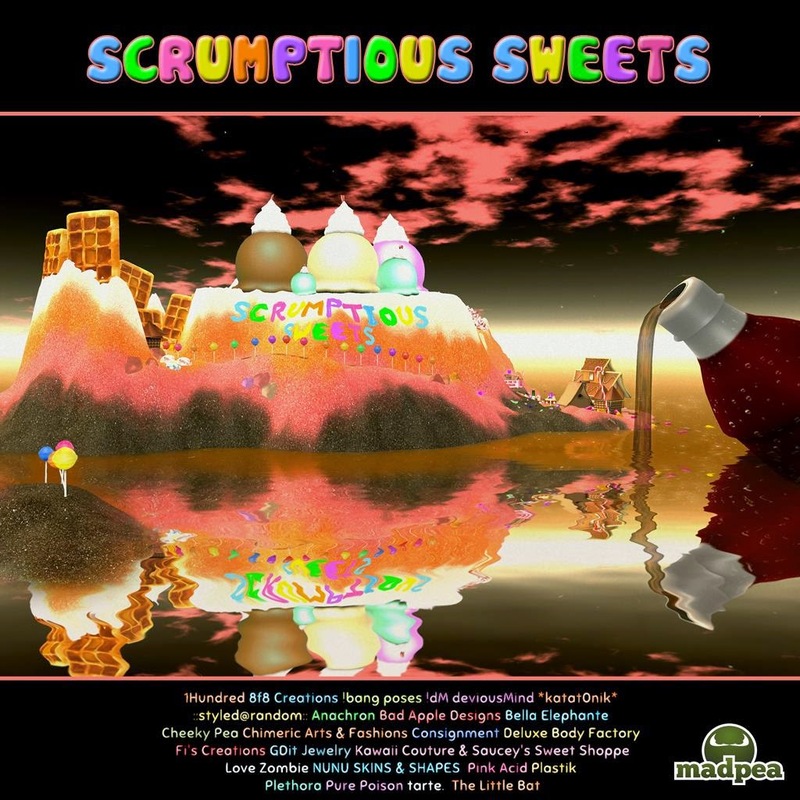 The ultimate Horror Survival game with elements never seen before in Second Life. "We stop looking for monsters under the bed when we realize they are inside us." It is Free to join our groups and stay up-to-date with all of the Madness. Cut and paste the link into your local chat. MadPeas General Group for all Games, Hunts and Events. Check out the group gift section at our Main store and our Satellite stores. See our blog, Facebook, Flickr and Twitter for further information. We encourage you Like and Follow us! Please note: We are not available for any kind of custom work.